Now, these games are obviously huge, but we're going to start small. We're going to be looking at the starters of Unova, and some of the Pokemon encountered early on in the game. So, let's jump into Unova! Snivy, aka Smugleaf, is the grass starter in Black and White. Despite being classified as the Grass Snake Pokemon, Snivy shares traits wiyth lizards as well, including it's head design, stature, and...well, the fact that it has legs. Snivy also has some possible derivation from the Neoseps, a somewhat wormlike lizard with sort, stubby arms and legs. Snivy becomes mre snakelike as it evolves, eventually losing its legs when it becomes Serperior. One thing that's interesting to note is that Ken Sugimori, who has done the illustrations of all official Pokemon material since gen 3, confirmed that the designs for Snivy and its evolutions are based off the garb of french royalty, seen more in Servine and Serperior than Snivy. Tepig is, obviously, a pig, a British saddleback to be specific. It's evolutions become more boar-like, and also possibly based off Zhu Bajie, a pig demon from the famous Japanese story Journey to the West. (interestingly, Infernape is also based off a character form the same story) In what appears to be a running theme with these three starters, Tepig, like Snivy(and Oshawott, as we'll see in a minute), is based off a certain culture in its design. 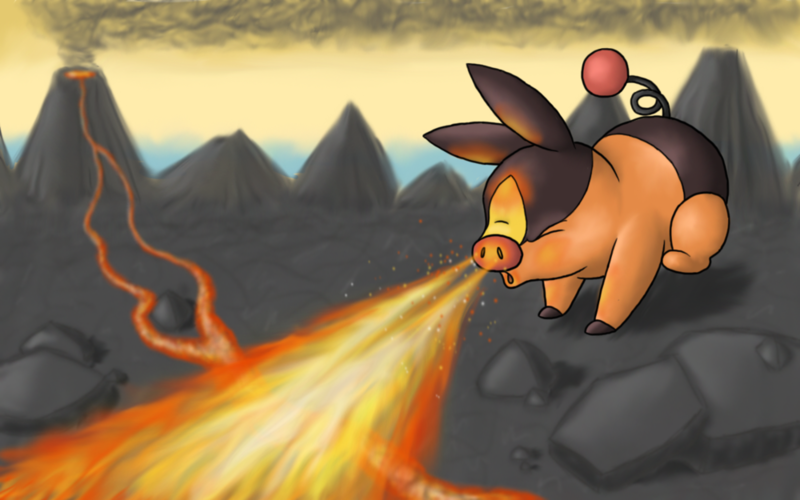 Tepig, and more primarily it's ebvolutions, are based on Chinesre art styles. This can also explain the derivation from Journey to the West. Oshawott is based on sea otters. So is Dewott. Samurott, however, is based on sea lions. The two animals look somewhat similar, but it still seems like an odd association. Oshawott's evolution family is also based on tradional Japanese samurai(Japan being their main culture origin), shown in how Oshawott and Dewott use the shells on their bodies as makeshift swords. Samurott, meanwhile, has a sword on his head, reminiscent of a unicorn. Oshawott and Dewott's shells, and Samurott's tail, are designed after traditional Japanese war fans. Samurott's shell "helmet" is based on the shell of the Murex Altispira, a kind of sea snail with a long, spiked shell. So there we have the starters of Black and White. But what about teh Pokemon on the first couple routes of the game? These can be thought of as starters as well, as the only team members avalible this early in the game. So let's check tehm out too. There's really not too much to say about Patrat. It's mainly based off a chipmunk, and also a meerkat and a prarie dog. It's evolution, Watchog, is based off these too, as well as a groundhog. Watchog's design is, bizzarely, based on a protective contruction workers outfit, with the yellow stripes on its body forming a "vest". Lilipup and it's evolutions are based off Yorkshire terriers, a kind of dog bred in Britan to catch rats in clothing mills. Lilipup has a fluffier look than it's basis animal, which has longer, straighter fur. Lilipup's evolution, Herdier, also has some characteristics of Scottish terriers, mainly in its face and darker body fur. Stoutland, Lilipup's final form, still keeps some characteristics of Yorkshire and Scottish terriers, but is primarilly a combination of a Shih Tzu and a Maltese, two kinds of dog with long fur that drapes down to its paws. Purrloin is another simple one, based solely and generically on black cats. Its evolution, Liepard, is a bit more interesting. Liepard is based on the leopard cat, not to be confused with a regular leopard. Leopard cats are wildcats with traits of both of their namesakes, house cats and leopards. Liepard is also based on black panthers, simmilar-looking animals who's spots can be seen if examined if looked at closely. So there we are. In two weeks we'll come back to take a look at the Unova region as a whole, looking at different areas and how they are connected to real places. It's Region-locked 2: The Isshuing. I'm IatosHaunted, signing out until next time.